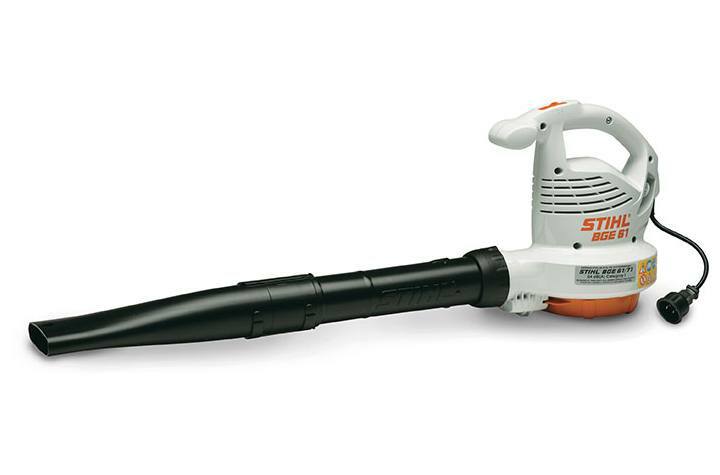 A powerful, quiet, easy-to-use handheld blower. Easy. Quiet. Done. 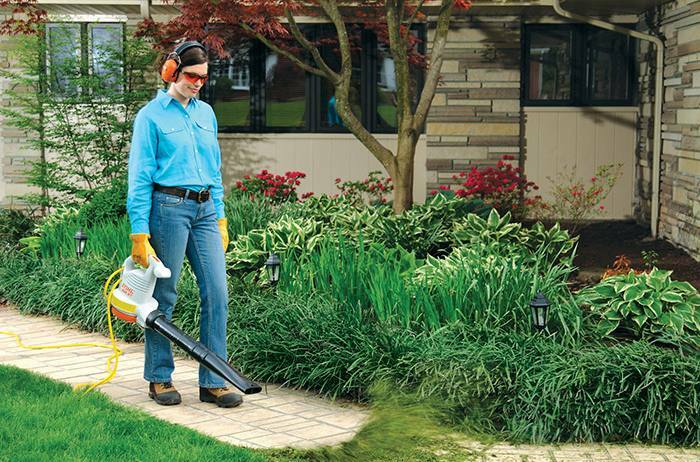 The STIHL BGE 61 handheld blower is part of a generation of lightweight, powerful electric leaf blowers. Its compact design produces low noise and zero emissions, making it ideal for use around the house without disturbing the neighbors. And there’s a built-in cord retainer to help keep you connected. Built-in Cable Strain Relief: The built-in cable strain relief helps prevent the power cord from becoming accidentally disconnected. Multi-Function Handle: With the multi-function handle, all of the blower’s controls can be adjusted with one hand, allowing simple and reliable operation for both right and left-handed users. In addition, the handle’s control lever allows the user to easily adjust the engine speed. Gutter Kit: Clogged gutters may become a thing of the past with this quick and manageable gutter attachment. A series of plastic tubes attach to your STIHL handheld blower and can extend to more than ten feet, providing the additional extension needed to reach most residential gutters. Great for removing dry leaves and debris. For use with BG 55, BG 56 C-E, BG 66 L, BG 86, BG 86 C-E, BGE 61, and BGE 71 models. Does not fit BGA 85. See your STIHL Dealer for details. *Tested in accordance with ANSI 175.2 standard. Newton is the force needed to accelerate 1 kg of mass at the rate of 1 m/sec2.